Welcome to St Paul’s Primary School. On these pages are glimpses of life at our school. Our Vision Statement portrays what our school is about and what we endeavour to achieve. Our History defines who we are and our place in this unique community. You are most welcome to our website. We trust it will supply you with a little more knowledge of our school. With Jesus as our leader, we at Saint Paul’s Catholic Parish Primary School, endeavour to build an inclusive learning community. we aspire to provide an education that empowers us in unity, faith, hope, love and respect. 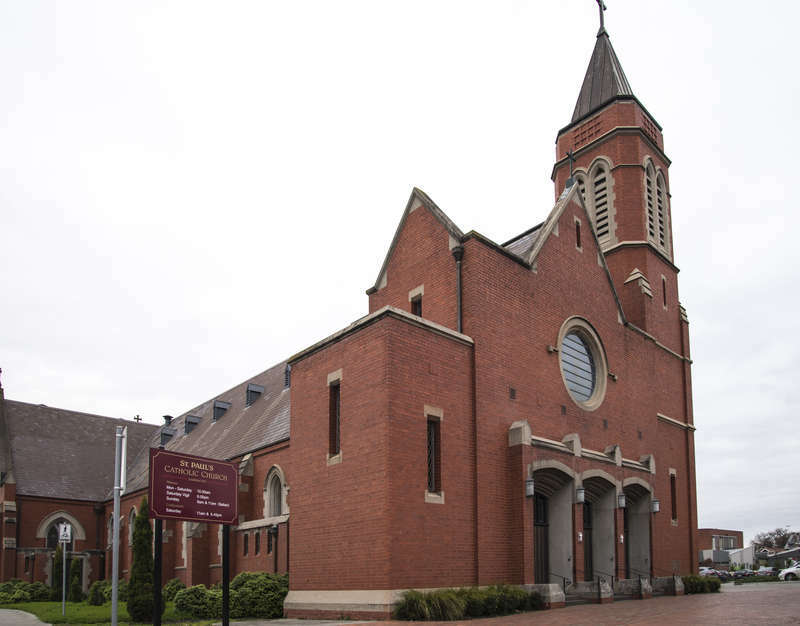 St Paul’s is located on the western side of the historic Pentridge Village and the eastern side of Sydney Road. 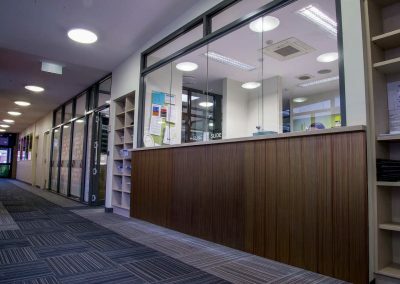 The new learning and administration areas were constructed in the 2009 – 2011 period. 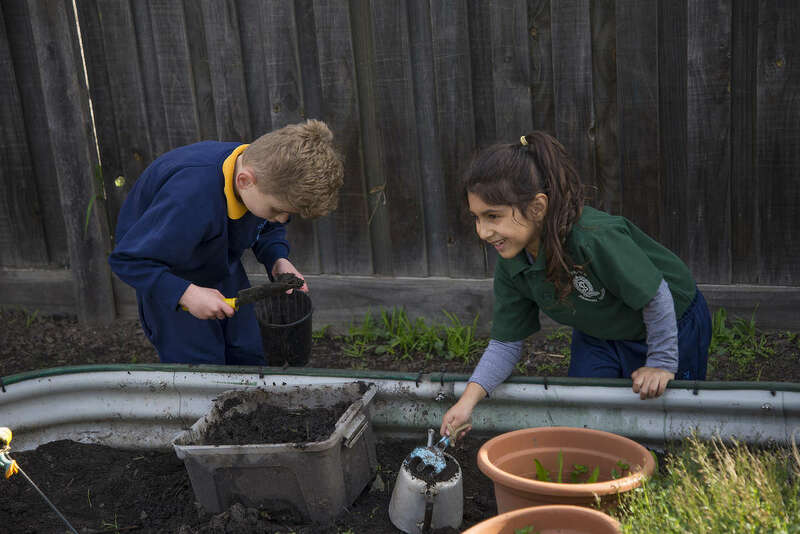 These valuable assets allow the school to provide working areas that meet the many needs of a contemporary Catholic Primary School community. 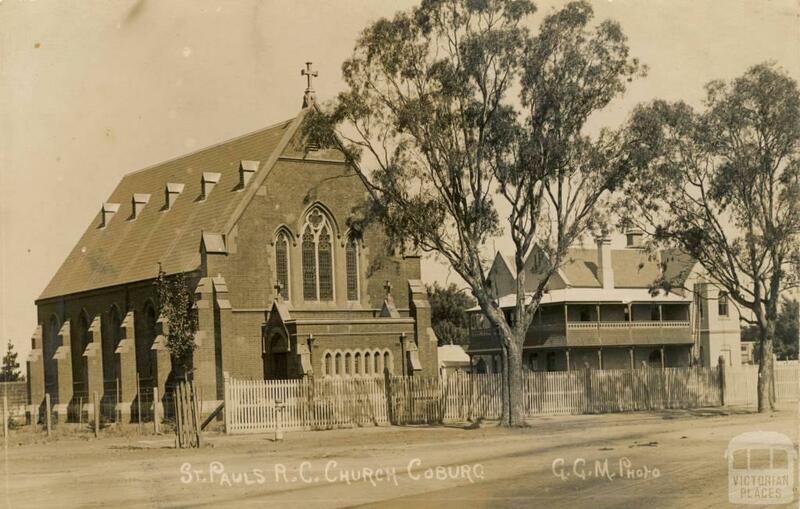 St Paul’s is in Coburg, an inner northern suburb. 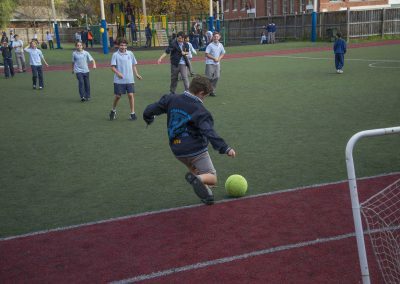 Many of the students are from the local area although some come from neighbouring and outer Northern suburbs. 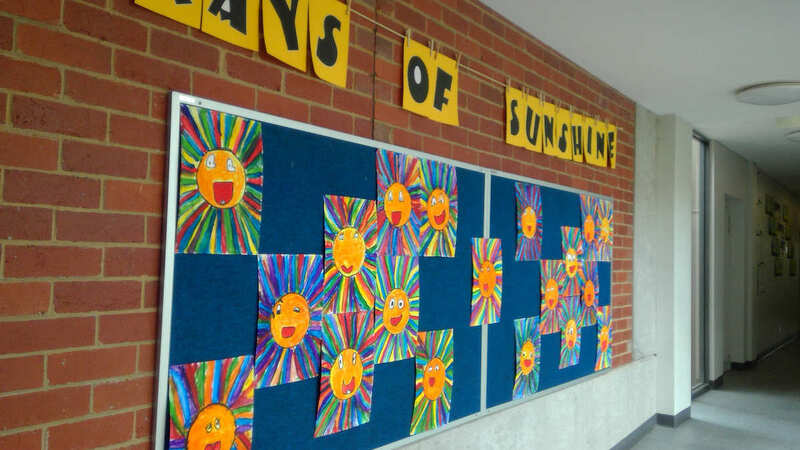 The children who attend St Paul’s from outside the area generally have grandparents and other extended family that are the main carers before and after school and so are considered to be in the zone. To the immediate north of the school is St Paul’s Presbytery and Church. To the immediate south is the Holy Trinity Anglican Church grounds. The old bluestone wall of Pentridge is the immediate boundary to the east. A tramline is located on Sydney Road that takes passengers south to the city and north to Fawkner. There are three busy intersections close by – Sydney Road and Bell Street – 250 metres south; Sydney Road and Urquart Street – 100 metres south; Sydney Road, Champ Street, Pentridge Boulevard and O’Hea’s Street – 75 metres north. The O’Heas Street intersection is quite dangerous due to the amount of roads that meet. Due to the amount of traffic, all intersections and roads in the area should be viewed as high risk. St Paul’s demographic continues to evolve at a great rate. In 1992 the school Socio-Economic Status was 89 – in 2013 it was 104 and 2018 our SES is expected to climb above 110. Data collected by the Federal Government has shown that the Coburg area has experienced a massive upward trend in terms of house prices and, in some cases, occupation of residents, thus the SES rise. The Inner Melbourne housing boom has seen average house prices rise from under $100000 in the late 1980’s, to well over $600000 in 2013 and in 2017, well over $900000 in the Coburg area. As well, the Pentridge Estate, the Coburg 2030 Initiative for Bell Street and Sydney Road and the development of the Kodak site has resulted in the construction of many residences that cater for new families in the area. Houses and two/three bedroom units can sell for between $500000 (Units) to well over $1,000,000 (houses). There is a rich diversity of nationalities at our school. We continue to welcome many new children from Asia and the Sub Continent, all bringing with them diversity of rich cultures that has added much to the school. As well, we continue to see a number of European middle class families enter the school community. 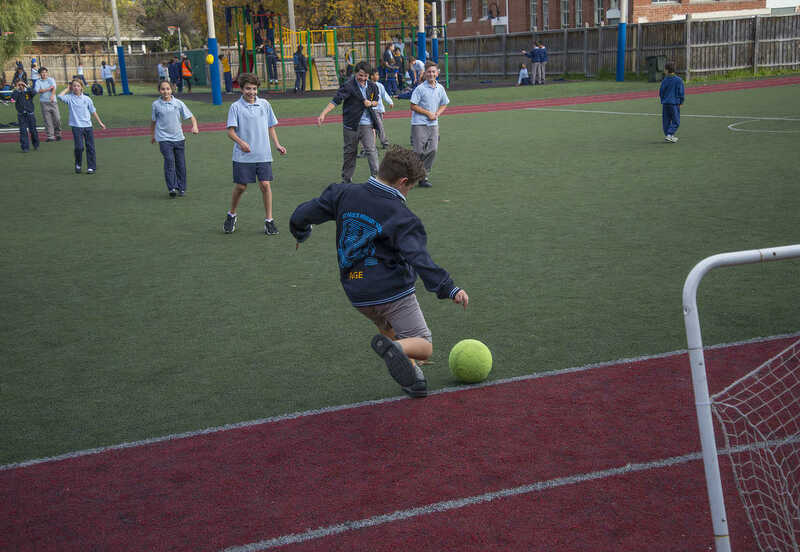 A growing number of families on short term visas wish to attend the school. Whilst we do accept some, they must be full fee-paying students. 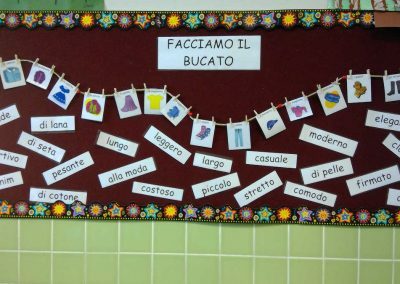 Our specialist programs are Visual and Performing Arts, LOTE (Italian), and Physical Education. The library is well-resourced and the library manager oversees regular stock takes of materials. 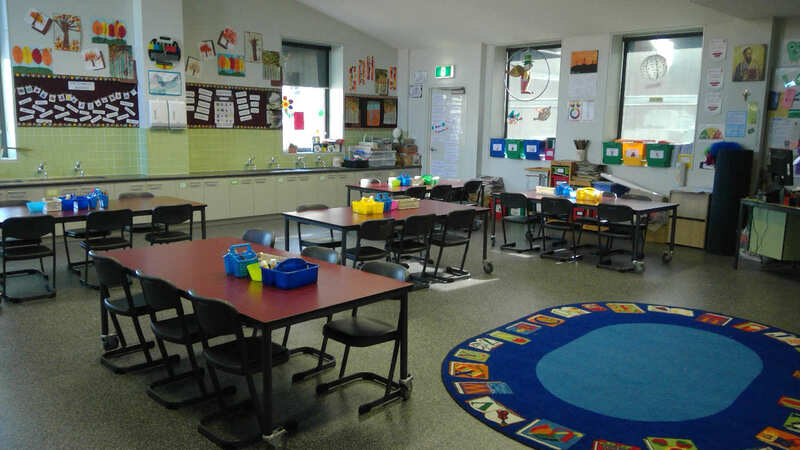 Classrooms are future focused, flexible learning areas. 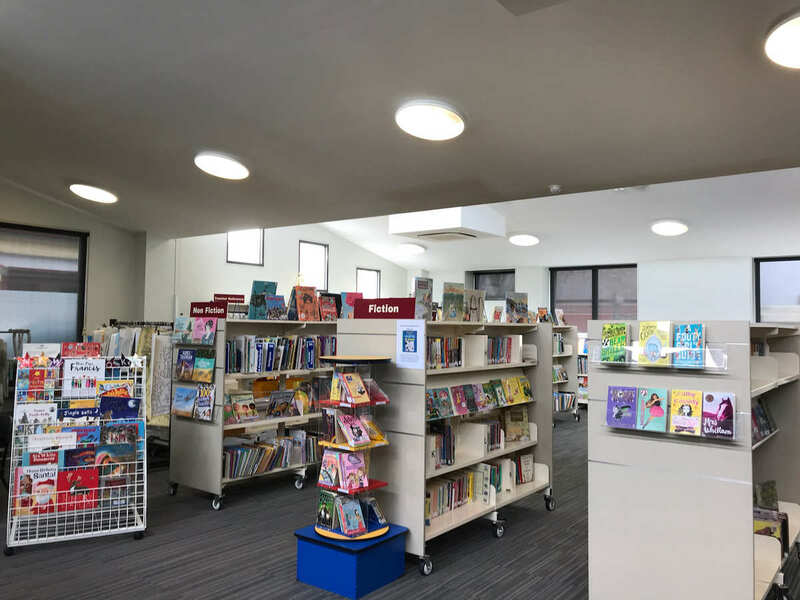 Although in need of some minor Capital Works (new carpets and ongoing ICT improvements), St Paul’s still caters for contemporary and personalised learning which offers students flexible learning spaces to suit their style of learning. 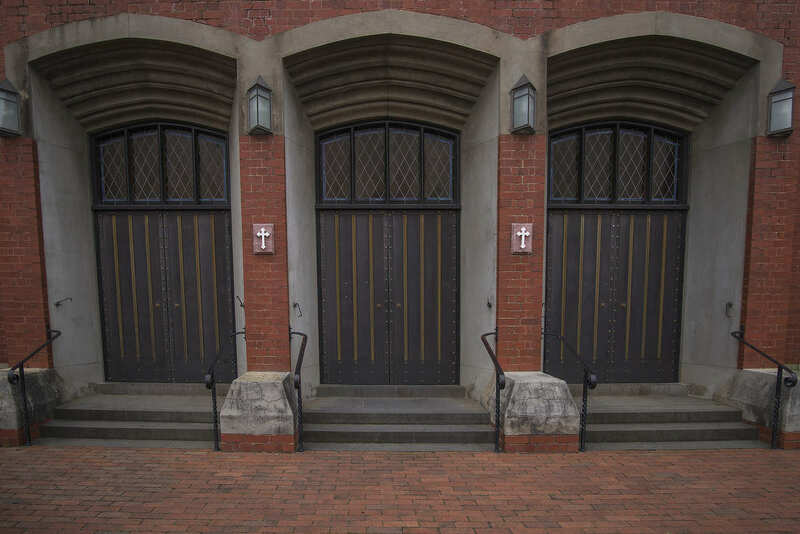 St. Paul’s School has enjoyed a long and rich history. 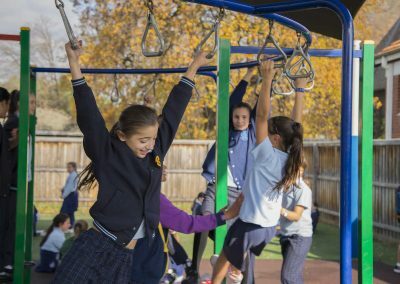 From its beginning, St. Paul’s has provided the local community with a means to live out their faith and support families in the education of our Faith. Right from the beginning, a Catholic Education was seen as so important, that the construction of the School preceded the building of the Church. On July 3rd 1848, twelve short years after the European foundation of Melbourne, the resident pioneer Priest at St. Francis’ Church, Fr. Geoghegan, wrote to the Denominational Schools Board claiming that a sufficient number of Catholic children would be found in the area of Pentridge (Coburg’s original name) to entitle the community to a teacher provided for by Government aid. Two years had to pass until the first Bishop of Melbourne, Dr. Goold, made personal application in March of 1850 for a grant of land. Two acres of land was allotted the following month and towards the end of 1850, a small wooden building with a teacher’s room attached was erected on the land. This original building was erected in the area in front of the Presbytery. From the initial wooden buildings the school moved to a blue stone building around 1878 (presently San Marco restaurant). By this time, the cultural background of the Parish was well and truly Irish and these people weathered the harsh realities of the 1872 Education Act, when all Government funding to Denominational Schools was ceased. At the time, Chief Justice Judge George Higginbotham wrote that the Act was “an endeavour to crush Catholicism”. In 1888, the Sisters of Mercy were invited to run the school by the legendary Monsignor O’Hea. For 113 years, many Mercy nuns dedicated their lives to the care of the children who attended the school. The Mercy tradition is alive and well at St Paul’s. Through the generosity of Parishoners and with no Government funding, a new school was built and was opened in 1924, 200m north along Sydney Rd. 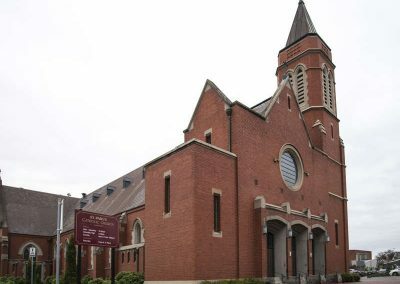 This building served the Catholic community well for over 50 years. As a result of post war migration Coburg became home to many Italian migrants. 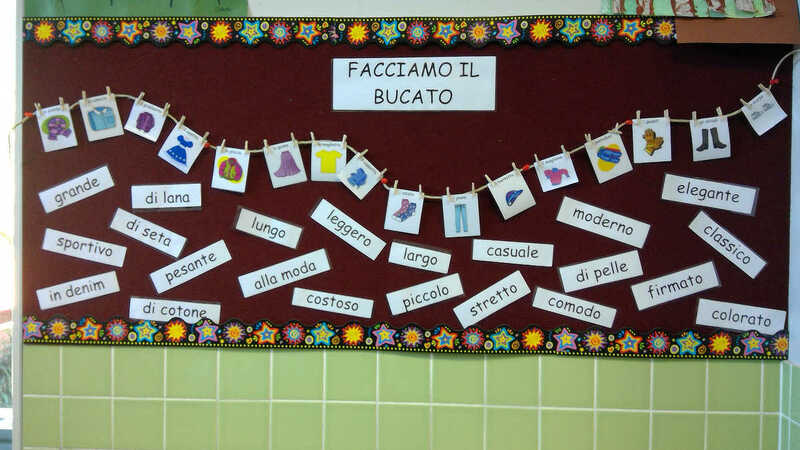 Today the Italian culture is the largest ethnic culture in our school. Since the 1950’s migration, many other nationalities from both Western and Eastern Europe have settled in the area. More recently there have been arrivals from both Asia and the Middle East. 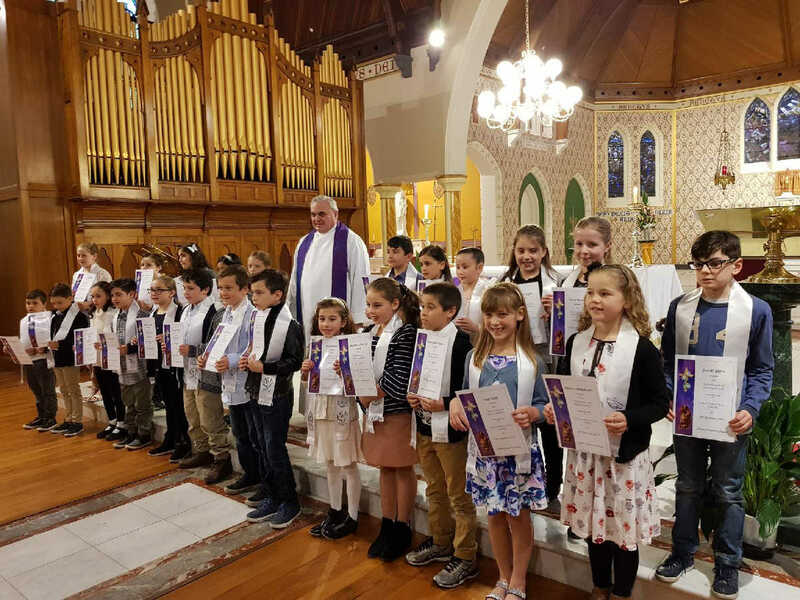 At present, with some families from South American and African countries also, the children of St. Paul’s represent over 40 different nationalities. In 1980 part of the Sydney Road building was destroyed by fire. Unfortunately, much of the historical information was destroyed or ruined by fire or water. The property was sold to the Islamic Community and is now the King Khalid Islamic College of Victoria. 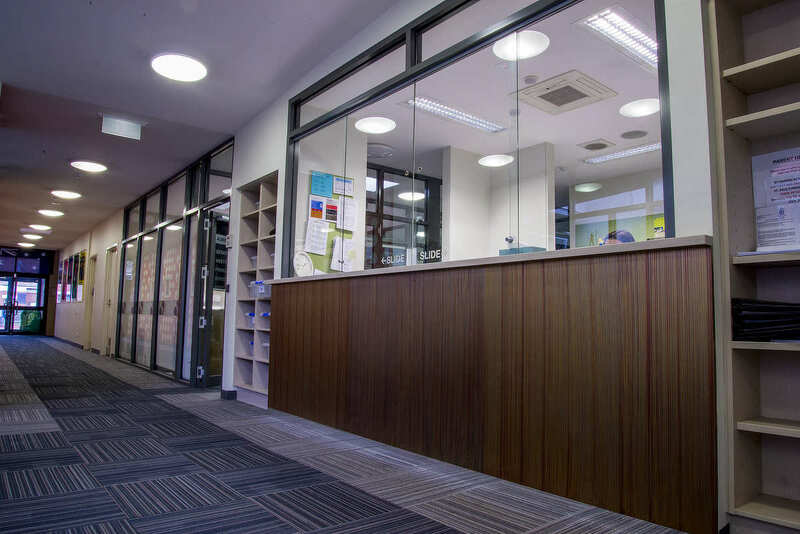 It is significant that this site now caters for many families who are newly arrived in Australia. 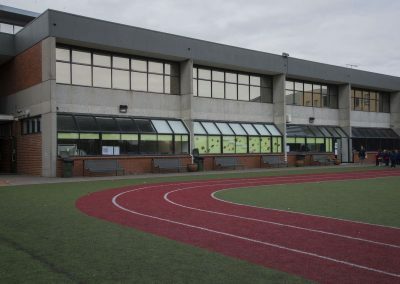 Fr O’Connell decided to relocate the school to the present site so that the school had a closer physical connection with the Church. The original building was completed in 1982 and won an award for its design. Since 1991 the school has received children from war torn countries, many suffering various stages of trauma. 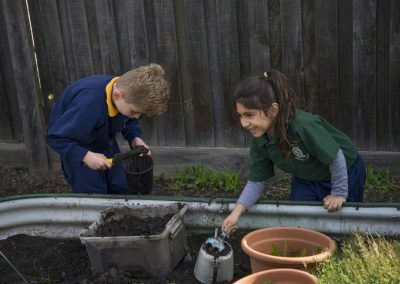 Throughout its history, past and present teachers and support staff have risen to the challenge of educating children who have arrived on our doorstep with little or no English and have provided a stable and caring environment where children want to be at school. 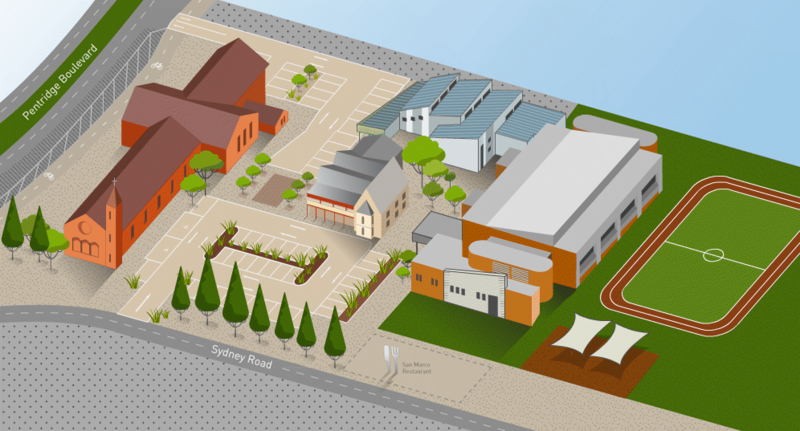 As well, the financial, emotional and social needs of families have been addressed – St Paul’s is far more than just a school meeting academic needs. Fire again played a role in our history in January 2007 and March 2008. The 2007 fire claimed the Community Hall that had only recently been renovated. It was totally gutted and had to be demolished. In its place, a large portable building was purchased to fill the void. Then, only fourteen months later, a large fire damaged much of our beautiful Church. It was indeed fortunate for the Parish and School that the portable had been purchased as this building became our Mass centre until the completely restored Church was reopened in December 2010. Much of the renovations were based on the original 1888 building design. 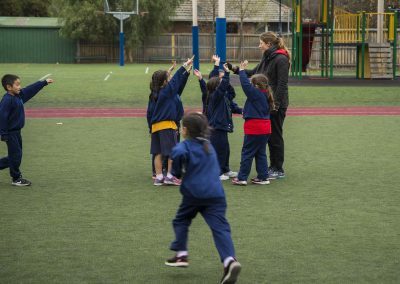 Since the mid 1960’s increasing Federal and State Government funding has been received by all Catholic Schools in Australia. 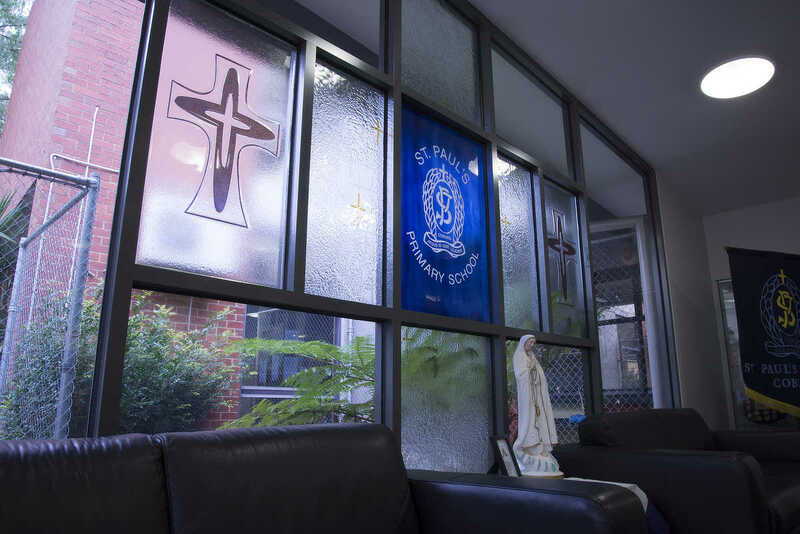 St Paul’s has been able to access more Capital and recurrent funding from this time thus assisting parents with their choice of Catholic Education for their children. 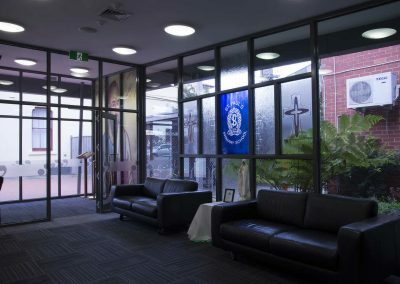 In 2009 St Paul’s was the recipient of the Building the Education Revolution and National Schools Pride grants totalling $2.125 million. 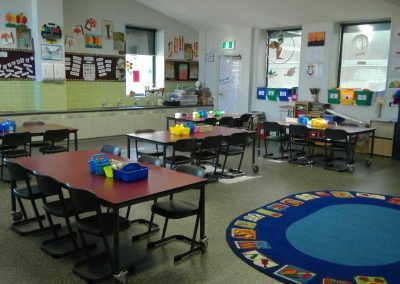 These Federal Labor Government initiatives under the leadership of the Prime Minister, Mr Kevin Rudd, allowed the school to construct a building that provides the children with areas that serve a variety of needs including a large multipurpose area, Art/LOTE Room, Library/Research Centre, Planning Room, Out of School Care Office and kitchen, toilets and storage areas. As well a $190,000 sustainability project was completed. 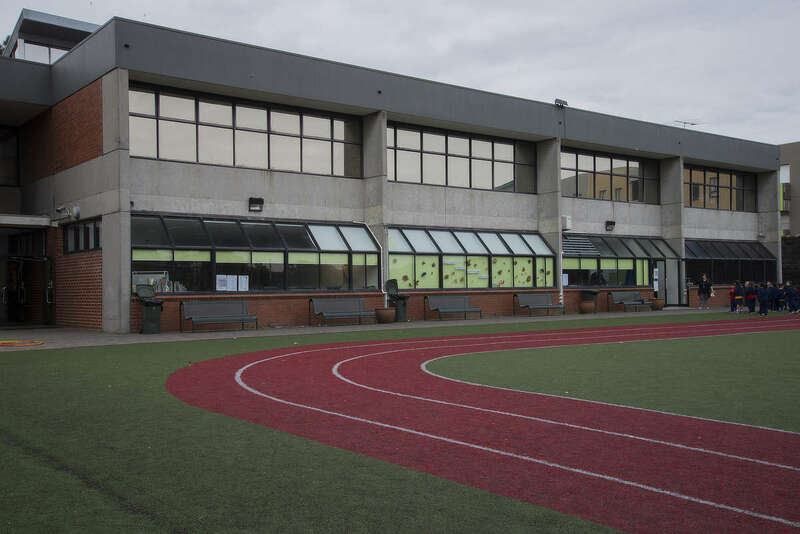 The school was able to install solar panels, window film, temperature and movement controlled heating and cooling devices and many other improvements that not only save energy costs but assist with sustainability education across the entire community. 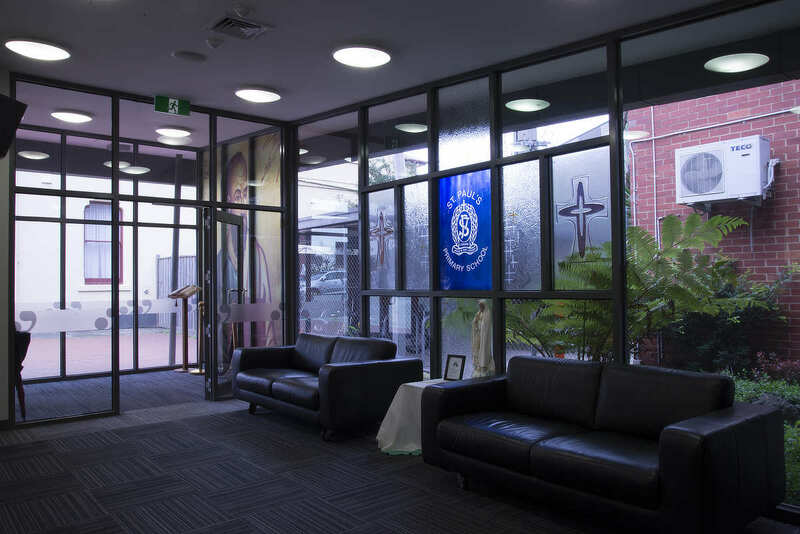 With this injection of funds as well as Parish support totalling $2.8 million and Catholic Supplementary Capital Funding worth $1.3 million (over $6million in all), the school had a transformation in just over three years. 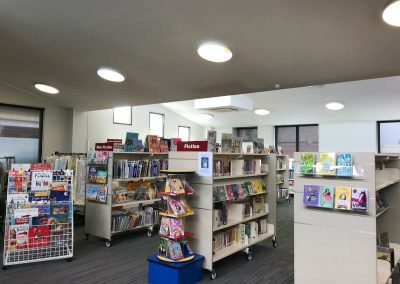 Children now have safer and improved play areas and all members of the community have access to facilities that will cater for the future needs of teaching and learning. St Paul’s has indeed benefited from both the foresight of the Rudd Federal Labor Government and the continued support of the Parish and the wider Catholic Community. 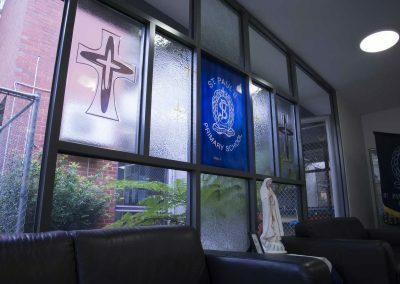 St Paul’s is one of the oldest schools in Melbourne and is enjoying resurgence in student numbers due to a changing demographic and the establishment of housing in the old Pentridge gaol site and other surrounding industrial areas that have become residential. 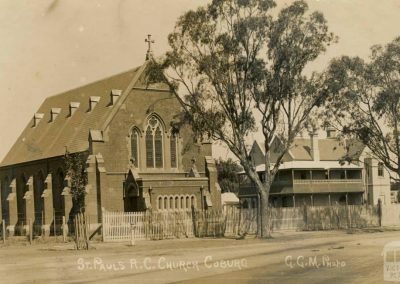 The history of St Paul’s is intrinsically linked to the history of Moreland and most importantly and more directly, Coburg. We remember our past to remind us of the sacrifices made by those before us – their struggles to maintain and support Catholic Education. Our history also allows us to appreciate the present and look forward to the future with a dedication to ensure that quality Catholic Education continues at St Paul’s. In 1853, as a young Irish Augustinian, Monsignor O’Hea was recruited to Melbourne by Archbishop Goold of Melbourne. He was given charge of the Coburg district and took up chaplaincy at Pentridge Stockade. His dedication as a priest and perseverance meant that the parish of St Paul’s grew rapidly. The first St Paul’s School opened to students in 1851 prior to his arrival. As part of his building programme, St Paul’s Church was built. In 1888. he asked the Sisters of Mercy to take over the running of the school because Catholic Schools received no government funding – if the Sisters did not run the school, then St Paul’s would cease to exist. The Sisters of Mercy attended Mass at the neighbouring St Paul’s Church. 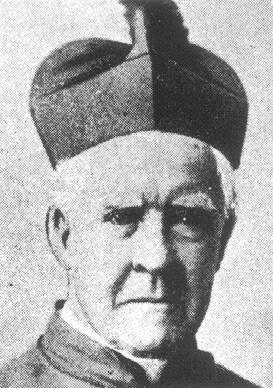 When Monsignor O’Hea died in 1903, he left his residence and land in the Coburg area to the Sisters of Mercy who were located in Geelong, and expressed to them the wish that a Mercy Convent be established in the Coburg area. 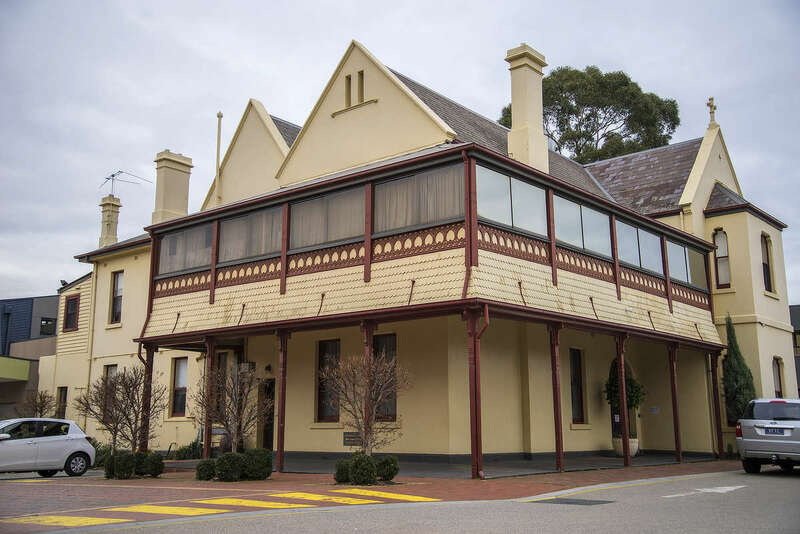 Monsignor O’Hea’s generosity enabled nine sisters of Mercy to journey from Geelong in October 1903 and establish the first Mercy Convent in Coburg in what was Monsignor O’Hea’s residence. 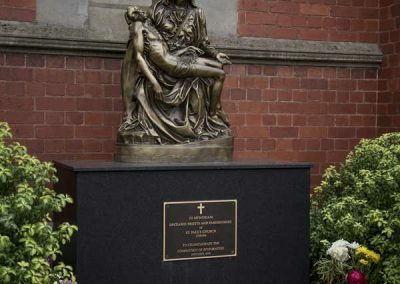 Monsignor O’Hea’s ministry and respect from the community was recognised by the local council when they named the street near St Paul’s Church, O’Hea Street, in his honor. Catherine McAuley was born in 1778 in Dublin, Ireland. 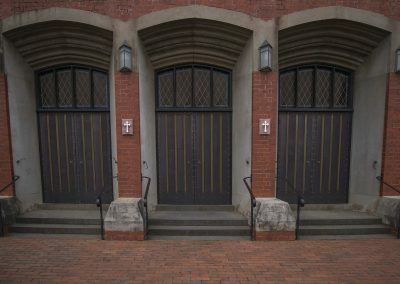 In 1827, after inheriting a large fortune, she built the House of Mercy to provide shelter for homeless women, reach out to the sick and dying and to educate poor girls. At the same time, she began to gather around her other women who shared a similar vision to her. Eventually, she and her co-workers decided to found a new religious congregation and in 1831, she founded the Sisters of Mercy in Ireland. Before her death on November 11, 1841, Catherine founded convents and engaged in many works of mercy throughout Ireland and England. 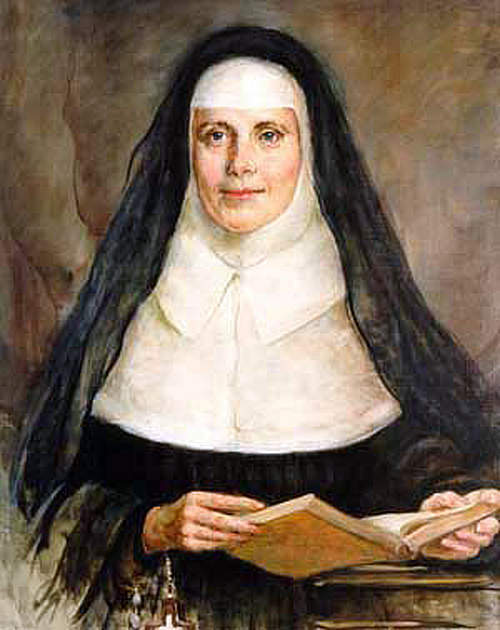 Ursula Frayne, who both lived with and knew Catherine McAuley very well, led the first Mercy community to Australia, arriving in Fremantle in January 1846. 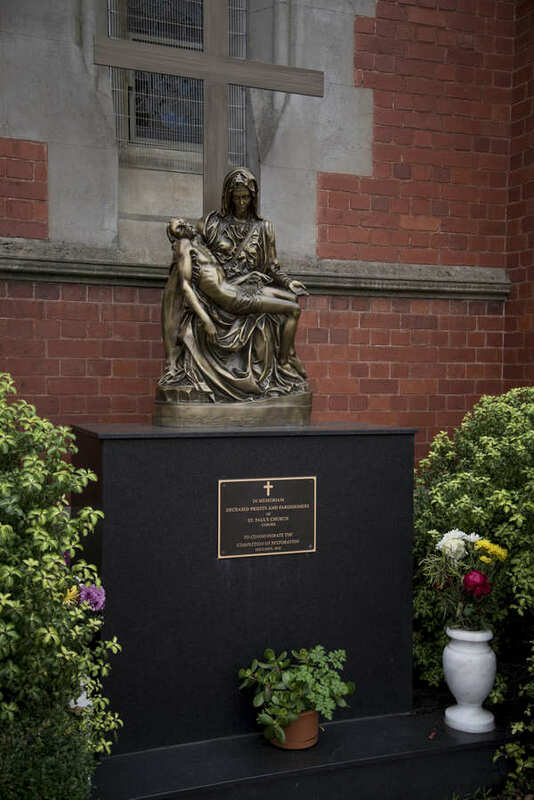 In 1857 she moved on to Melbourne, founding the first Mercy community in Victoria. 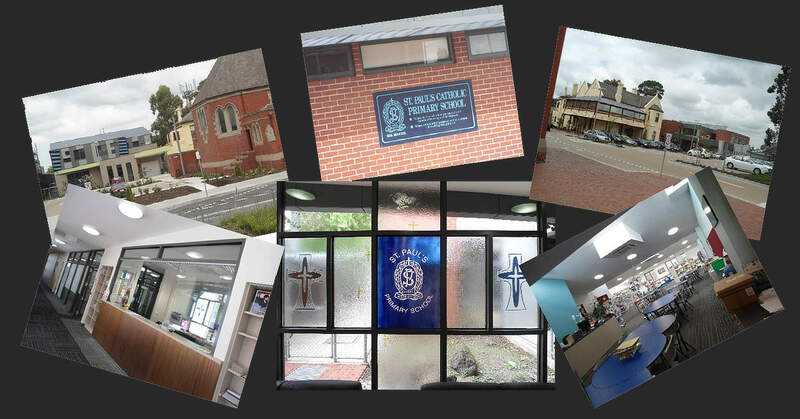 The Mercy Sisters have been involved in education in the Coburg district since 1886. In 1888, Father Charles O’Hea asked the Sisters of Mercy to take over St Paul’s parish school. 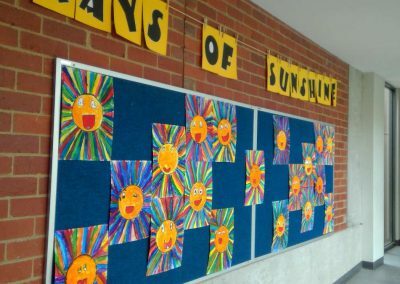 The Parish of St Paul’s Coburg and many other Catholic Schools and Parishes across Australia are forever indebted to the fine, selfless work of the Sisters of the Mercy Congregation, the legacy of Catherine McAuley. 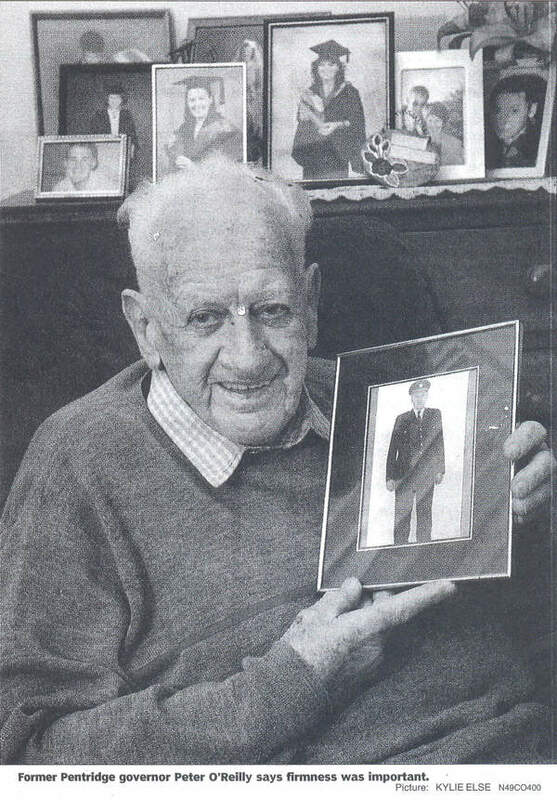 Peter Daniel O’Riley was born on the 28th of August 1915 to parents of Irish heritage. Peter lived in Coburg all of his life and attended school at St Paul’s. At the time of his attendance, the school was located on the second of the St Paul’s Schools’ sites on Sydney Road just 200 metres down from Drum’s Hotel. This is now the Islamic College. In fact Peter and his future wife Lorna both attended St Paul’s primary school and eventually married at St Paul’s Church. Peter worked at Pentridge Prison for 40 years. During his time at Pentridge he went from being the Warder to Governor of C Division. Peter was well known in the Coburg area, due to his long career at Pentridge and his involvement in the local parish. He was also instrumental in setting up the cricket association in Coburg. Above all, Peter was known as a modest man and a true gentlman who really valued his family. He is a great example of the values we wish for our children. Peter’s service to the community of Coburg was recognised when the council named a street in the Pentridge Estate in his honor. It is called “O’Riley Crescent”. His involvement in the parish of St Paul’s was also recognised when he received a medal from the Pope. Glenyys Howlett was born in Coburg in 1921 to parents Mary and George. 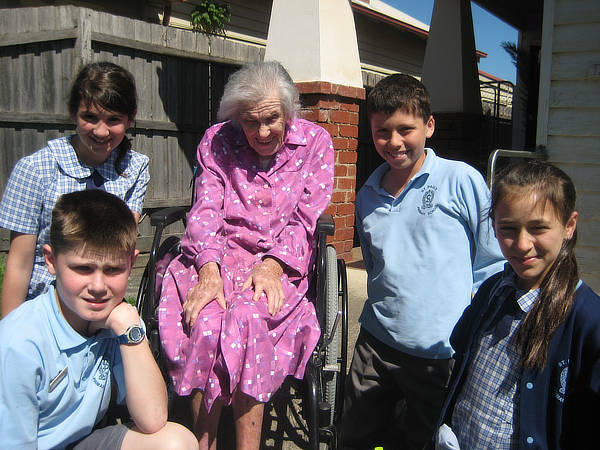 She has lived in O’Hea Street Coburg since she was born, only moving houses at the age of 13. Glenyys attended school at St Paul’s Primary School. She recalls enjoying the time she spent at the school and was fond of all of her teachers. Glenyss particularly enjoyed Mathematics and played basketball during her years at St Paul’s. At the age of 14, Glenyys contracted polio which ultimately left her unable to walk. In spite of the challenges that she had to face, Glenyys looks back on her childhood with fond memories and happiness. Glenyys has not allowed her disability to hold her back in life. She remains an active member of the St Paul’s Community. She attends mass every Sunday and is a supporter of the craft club. Glenyys’ positive outlook on life and her modesty make her an admirable person and a great example to the children who attend St Paul’s. She felt very honoured to have one of the house colours named after her. 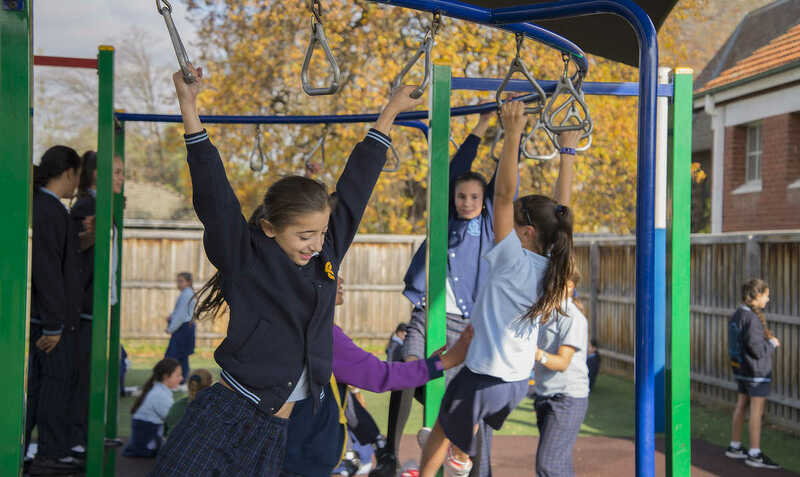 At St Paul’s School, we have a strong commitment to the overall care, safety and well being of all students. 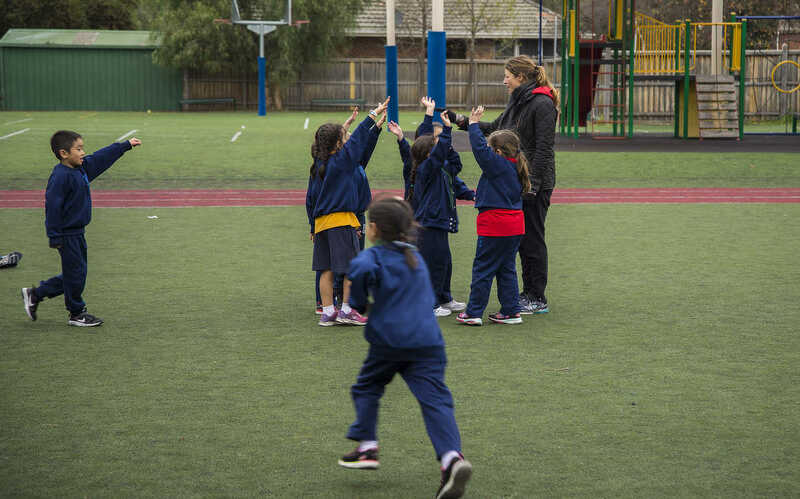 The Child Safe Standards (initiated by the Victorian Government) educates, raises awareness and guides organisations to create and maintain child safe environments so that protecting children from abuse is embedded in the everyday thinking and practice of school leaders, educators and staff.